Five words sum up Italy in this hot mid-summer, and not one is Italian. Here they are, in no particular order: spread, Moody's, Porcellum (a bastardized Latin word coined by the canny elder statesman of Italian political commentary Giovanni Sartori), and spending review. The five are intimately linked. ROME - Beginning with the spread, in recent weeks fears that the gap between the earnings deriving from long-term German and Italian bonds will surge further upward has fostered a widespread sense, if not of panic, of angst here. The customarily cautious Premier Mario Monti, speaking in Brussels July 10, revealed his concern by his attempt to analyze why the spread continues to oscillate despite the European leaders' recent stability agreements. In an interview July 8 with Skytg24 TV, speaking from Aix-en-Provence, Monti was more explicit. There are unknown factors in the markets and in the mechanisms that support the Eurozone, "and perhaps, in the case of Italy, a degree of uncertainty as to what will happen in managing the economy or, put another way, in the Italian political situation after the elections of 2013," Monti acknowledged. 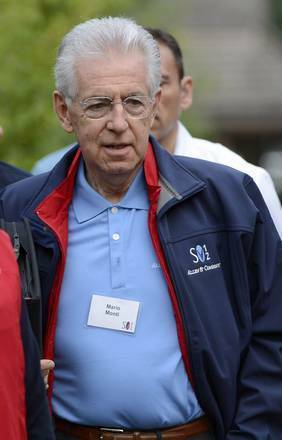 Monti again revealed his concern over the spread after Giorgio Squinzi, the neo-president of the Italian manufacturers' association Confindustria, declared bluntly that he would flunk the Monti government. To this Monti retorted icily, with barely concealed anger, "Statements of this type made by institutional figures and individuals who are supposedly responsible have very negative effects on the markets and on the assessments made by international organizations." On the other hand, Italy's credit rating was downgraded this week from A3 to Baa2 by Moody's, just when Monti was landing in Idaho to attend the high-tech conference in Idaho with Bill Gates and other U.S. financial potentates. At that point Italian bank shares, at least, dropped by under 2%, but otherwise the Italian stock market remained firm, allowing the reaction across the board to turn anti-Moody's. The drop, which positioned Italy just two levels above junk status, was taken by many here as an insult, and commentators were angrily saying, "Italy is not junk!" 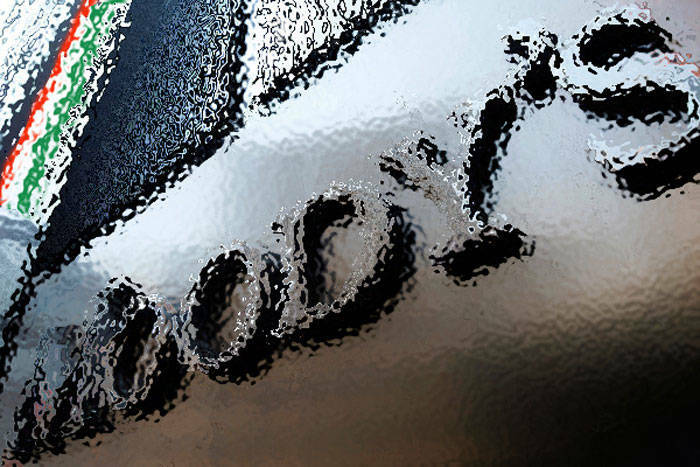 "The [Moody's] downgrading is unjustified and misleading," protested Minister for Industry Corrado Passera at a press conference Friday. For its part Moody's declared that "Italy's near-term economic outlook has deteriorated," with weaker growth and higher unemployment than in recent months - and warned moreover that further downgrading could be in store. The problem has suddenly become serious as the political world has taken on board that national general elections are only nine months away, set for April. Because they will be followed by election of a president to succeed Giorgio Napolitano, the Parliament and Senate elected at that time will also choose Napolitano's successor. Reforms are being proposed, but within the major parties themselves, beginning with Berlusconi's Forza Italia (slated to change its name) and the Partito Democratico of Pier Luigi Bersani, there is disagreement; those opposing change say that a reform would take too long and, besides, some among their numbers may hope that they will be the lucky ones to pick up the bonus MPs and senators. Finally, details of the spending review continue to emerge. Among the most touching is a complaint by the head of the reputable Italian statistics-gathering agency ISTAT that the cuts mean that, while he will go on paying wages and office space, the agency will be unable to carry out its mission because there will simply be no more money for programs. Another instance of spending cuts being imposed by the Monti government is to drop minor judicial offices run by justices of the peace because most churn out little work. On the other hand there are also those which perform efficiently and handle thousands of cases, and so there is some resentment. How are all these linked? At the Idaho high-tech conference Bill Gates, among others, expressed confidence in Monti but at the same time concern at who will be in charge after April. At the moment the Monti government is still popular with a strong majority of Italians and enjoys the support of the international community, such as the IMF. At the same time the traditional political parties (to the extent that they are traditional) are running scared - scared of Beppe Grillo, scared of a predicted avalanche of abstentions, scared of a generalized antagonism to all political parties. And meantime the long hot summer is just beginning, a prelude to a scorching autumn.